Sarah J. Wendler | Attorneys | Brick Gentry, P.C. Sarah Wendler joined Brick Gentry P.C. as an associate in 2015, after gaining experience as a law clerk for the firm. Sarah focuses her practice primarily in the areas of healthcare law and general business law, including the areas of agricultural, corporate, and environmental law. Sarah received her law degree from Drake University Law School, graduating with high honors and a certificate in Food and Agricultural Law. While attending Drake, Sarah served as an Article Editor of the Drake Journal of Agricultural Law, a captain of the Environmental Law Moot Court team, and a member of the Moot Court Board. Sarah was also a student member of the American Agricultural Law Association and served as an officer of the Drake Agricultural Law Association. As part of her law school education, Sarah also interned for a state senator at the Iowa State Capitol through Drake’s legislative internship program. Outside of her practice, Sarah enjoys giving back to her community and volunteering her time as a judge at high school and collegiate mock trial competitions. 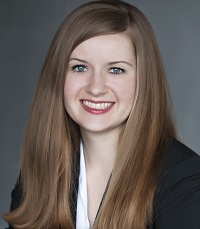 Sarah J. Wendler, Note, “The Voices of Corn-Based Ethanol: Another Look at the Ongoing Food vs. Fuel Debate Over Ethanol Mandates and Waivers in Light of the 2012 Drought,” 18 Drake J. Agric. L. 597 (2013). Do Apple Watch, HIPAA Go Together?